Tag Archives: Representative Austin J. Badon Jr. I hope that the concerned citizens return armed with facts, and treat this kind of legislative slight-of-hand with the contempt it deserves. In the last two years, I have watched with incredulity at the antics of the Louisiana legislature, whose leaders appear to specialize in somewhat spiteful behavior toward each other, the governor, and the Louisiana people. During the 2013 legislative session, this behavior was grossly on display. Finding all sorts of problems with the Teacher Evaluation System (TES, my acronym), the House unanimously passed a bill delaying the punitive measures of the TES. In other words, for one year, teachers who received a negative evaluation would not have it count against them while teachers who earned a positive evaluation could keep it. As the system proved to be wildly ineffective, it seemed a remarkably common-sense solution. 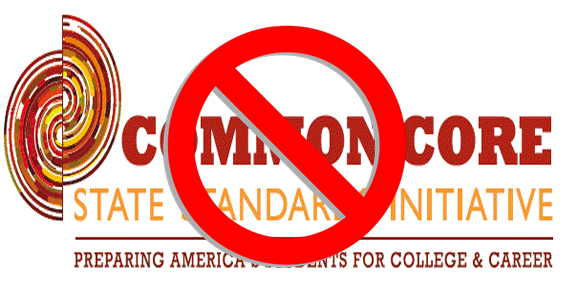 Not so, thought the Senate Education committee, chaired by pro-Common Core Senator Conrad Appel. With a vote of 4-3, that seven-member committee killed the bill passed by a unanimous House. Those four members outweighed the concerns of the 100+ members of the House, and the bill died. This year, House members have reached different targets: parents and educators. Representative Barry Ivey proposed HB 505, which would effectively remove any teacher hired after July 2015 from ever earning due process. Any principal could now come into a school and theoretically fire any and all new teachers he or she wished. That might be the way businesses work, but schools do not operate on a business model, nor should they. Representative Austin J. Badon, Jr. proposed HB 330, which would allow the Department of Education to expand the number of voucher students in some schools if those schools had been in operation for less than two years. Both Ivey’s and Badon’s bills were scheduled for April 29th before the House Education Committee, the same day as a planned rally by a contingent of parents and educators aligned against Common Core, voucher expansion, and erosion of teachers rights. These concerned citizens had done research and prepared speeches, only to watch the two representatives suddenly pull their bills. One week later, with no parents or educators on his horizon, Ivey has resurrected HB 505, essentially exposing all new teachers to discriminatory termination. Did he defer his bill in a craven attempt to avoid any pushback from groups which had meticulously organized to defend Louisiana citizens against a pervasive, pernicious belief that the business model is perfect for the educational system? Probably, though we may never know. I hope that the parents return armed with facts, and treat this kind of legislative slight-of-hand with the contempt it deserves.